Why Busybodies Health & Fitness Centre Boronia? 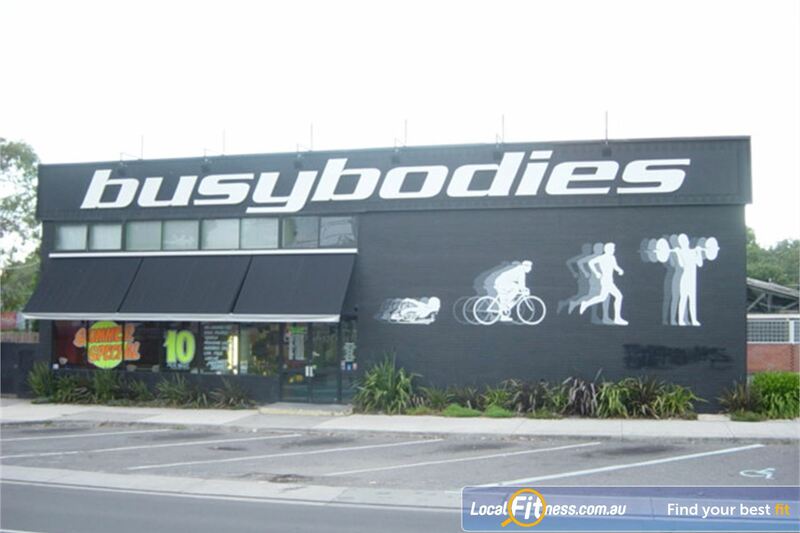 Busybodies Boronia gym is a family-owned fitness centre built on friendly service, quality facilities and a relaxed and comfortable environment. Come and visit Boybodies Boronia, your Lifestyle + Wellness destination. Busybodies Boronia is your favorite family-owned gym supporting the community. Our full range of fitness services caters for all age and abilities and includes a fully equipped Boronia gym, 2 cardio training rooms with state of the art equipment, popular classes inc. yoga, Pilates, Zumba, Boronia HOT Yoga classes, Hydrotherapy pool, spa sauna, Boronia personal training, on-site creche, nutritionist, massage and so much more. At Busybodies Boronia gym, we have created a quality facility and comfortable environment for our members and guests. Welcome to the family-owned Busybodies Boronia gym. Our fully equipped Boronia gym space. Our free-weights area is fully equipped with dumbbells, barbells. Fully range of classes inc. Yoga, Pilates, Zumba, HOT Yoga and more. Spacious Abs and stretching zone. On-site Cafe to get a healthy treat. Indoor heated Boronia swimming pool. Get into circuit and functional training in our Boronia HIIT gym. A dedicated Boronia womens only gym. Busybodies Boronia provides a relaxing aquatic atmosphere in our luxurious classic style Boronia swimming pool. Enjoy a comfortable swim or rejuvenating spa and sauna session. The luxurious and classic style Boronia swimming pool at Busybodies. The aquatics area includes spa and sauna facilities.